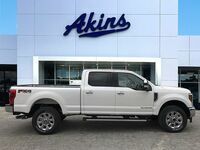 Everyone knows Ford makes America’s favorite trucks with the Ford F-Series lineup that’s headlined by the always impressive Ford F-150 lineup. 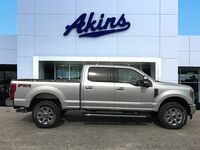 But sometimes a job calls for a little more truck than what the incredibly powerful, capable and efficient F-150 lineup can provide. When that’s the case, people turn to the Ford F-250 Super Duty. 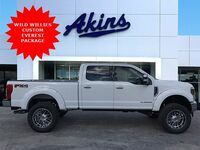 That’s especially true for this model year, as the 2018 Ford F-250 Super Duty lineup – which we have right here at Akins Ford near Atlanta, GA – is more powerful, more capable, more rugged, more efficient and more dependable than any other F-250 ever built. 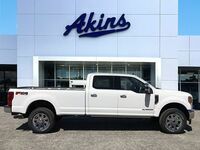 Featuring the choice between regular gas and diesel engine options, a slew of better-than-ever capabilities, and a comprehensive suite of advanced new safety, technology, comfort and convenience features, the new Ford F-250 Super Duty lineup will quickly become your employee of the month. As we mentioned in our introduction, the 2018 Ford F-250 Super Duty lineup lets you choose between a powerfully capable and efficient regular gas engine and a powerfully capable and efficient diesel engine. The regular gas engine is a 6.2-liter SOHC 2-valve Flex Fuel engine capable of pumping out 385 horsepower and 430 pound-feet of torque. 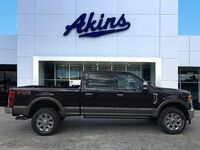 This engine is paired with a TorqShift Heavy-Duty 6-speed SelectShift-G automatic transmission. The diesel engine is a 6.7-liter Power Stroke V8 Turbo Diesel engine capable of pumping out 450 horsepower and 925 pound-feet of torque. This engine is paired with a TorqShift Heavy-Duty 6-speed SelectShift automatic transmission. Those are some impressive horsepower and torque ratings, so let’s now take a look at what those ratings allow you to do in terms of towing and hauling capabilities. The new Ford F-250 Super Duty lineup has a maximum conventional towing rating of up to 21,000 pounds, a maximum 5th wheel towing rating of up to 27,500 pounds, a maximum gooseneck towing rating of up to 34,000 pounds, and a maximum payload rating of up to 7,630 pounds. 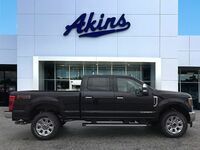 For more on the 2018 Ford F-250 Super Duty lineup, please contact our friendly staff here at Akins Ford near Atlanta, GA.